← We have a Garden! Our family Christmas vacation is officially over! It is sad to say goodbye- but now we will find out what it is like to live in another country with no family or familiar friends around. We will have to create a life. Where do we even begin to establish a daily routine? 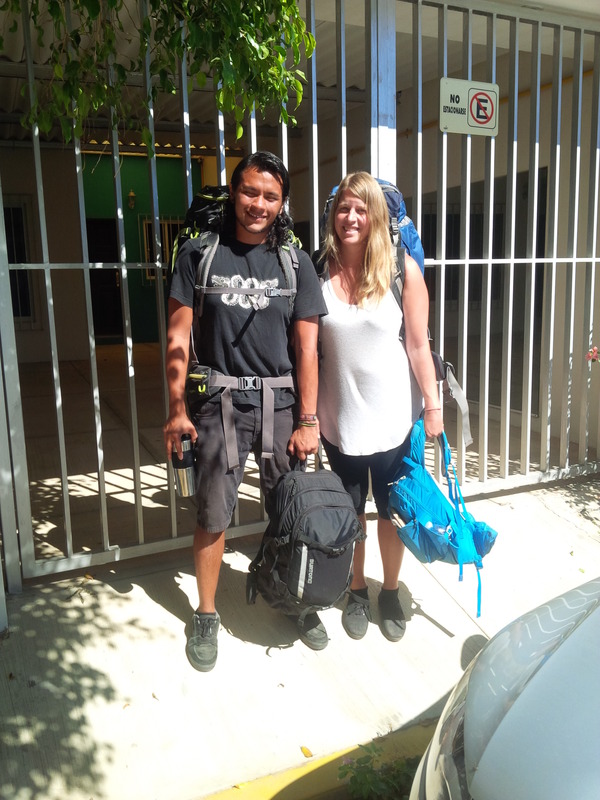 Yesterday we drove Brett and Luis to the bus station to send them on their way to Guadalajara. We knew our first task was to fill up the cupboards with groceries – it is time to cook like a normal person again (never really my strength and now I have to figure it out with new ingredients and new flavors). But it was already 1:00, so no point getting groceries until after lunch right?. We headed into Centro and found a giant torta (sandwich but in a big bun) for $30 pesos (around $2.50). We then wandered through the market looking for a colorful picture to hang above my stove in my kitchen. If I am going to cook, I need to be inspired and I definitely need a cheery picture. As always, I got stuck in a never ending loop of indecision when faced with too many choices. Yellow or green background? Purple or blue flowers? Writing or no writing? Ceramic or wood? I recently told Meigan that perfect decisions are not always necessary – sometimes a good decision is enough. But today I could not take my own advice. No inspiration and no decision here. So we headed home, planning to get our groceries. In the afternoon I did some work at my computer while Grant painted a pot and had a nap. I sat in the garden and read an inspiring book about water wells in Africa (One Thousand Wells by Jena Nardella – a great read!). Still no groceries – but of course it’s now close to supper time and everyone knows you shouldn’t get groceries when you’re hungry. We could tell it was going to be a fantastic sunset. 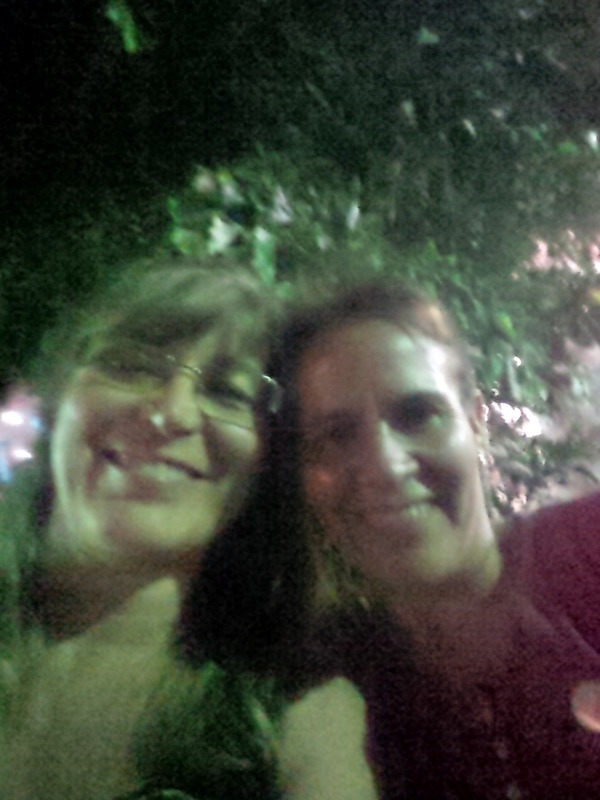 So we looked at one other and said “Supper at the beach tonight, groceries tomorrow!”. Perhaps this is our new normal “Manana – we can do it manana”. 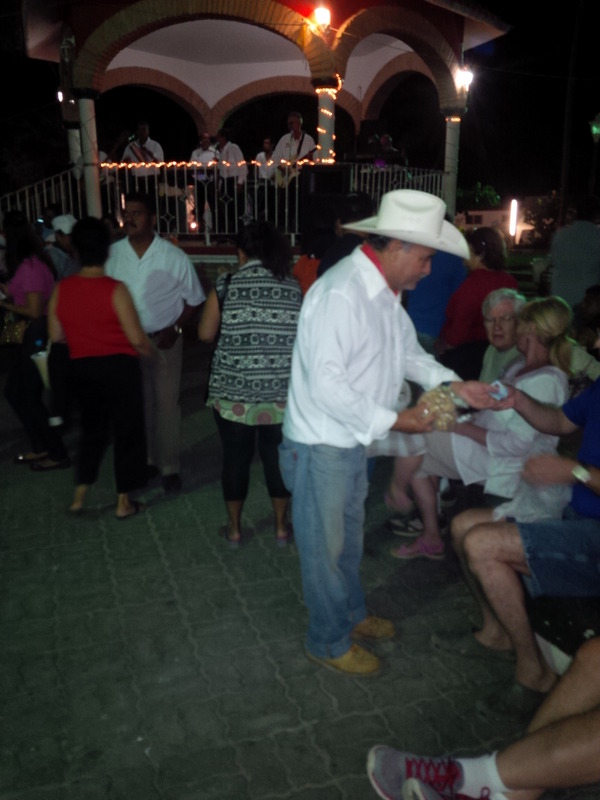 After dinner on the beach, we wandered through Centro and saw a band was about to start playing in the square. 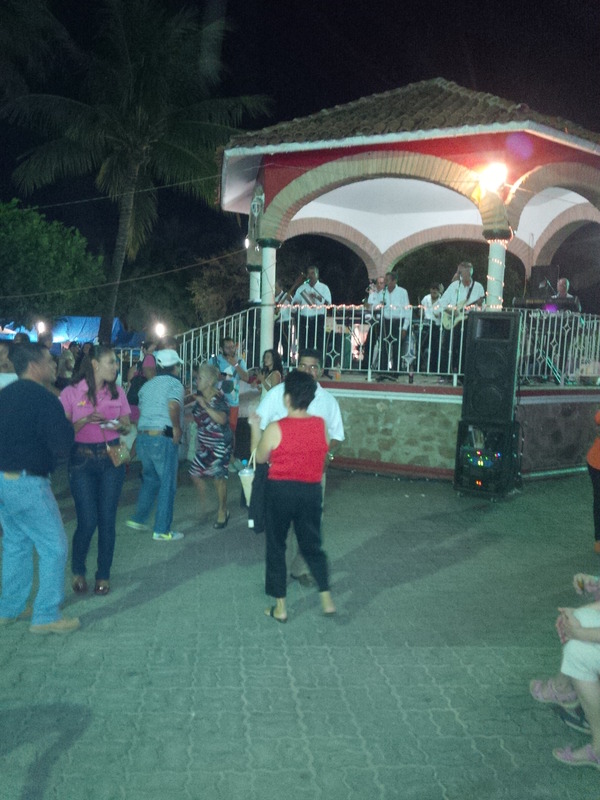 It was a plain old Thursday night and the square was packed with Mexicans and Gringos alike. 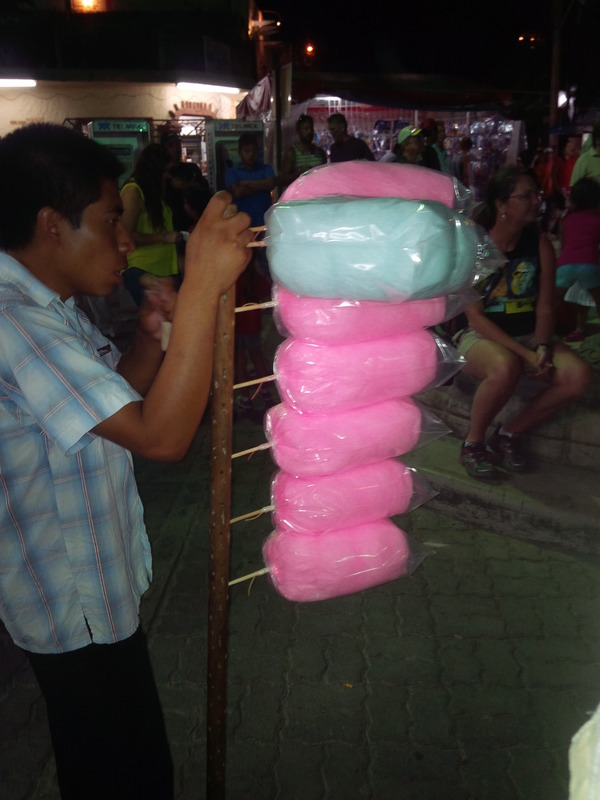 Candy floss and peanuts and ice cream and tequila available for purchase. Within seconds of the band beginning to play everyone was dancing – entire families, tiny children, teenage couples, grandmas and grandpas and ME. 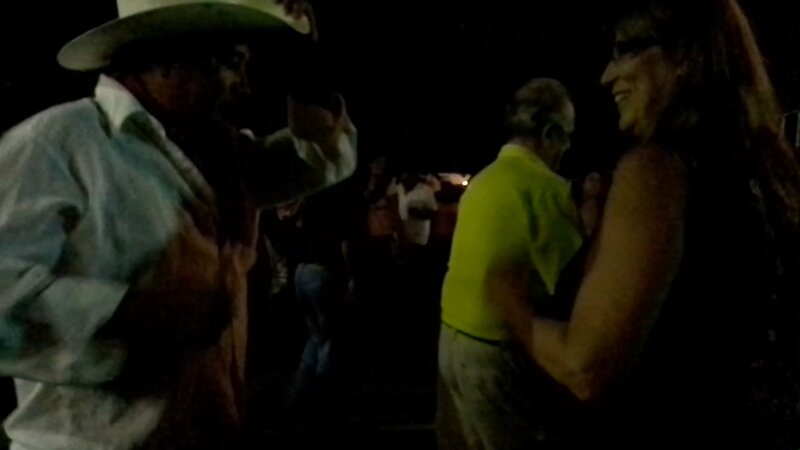 And since Grant hates to dance, guess who I was dancing with? First the beach vendor who sells peanuts (I had turned him down at least 3 times that day in various places around town – I didn’t have the heart to turn him down again) and then a Mexican grandpa in a ball cap. There is video evidence of both of these dances but they will never see the light of day! I am sure I looked like a silly old lady, but it was fun to be part of the activities of the community. So that is a normal day here in Mexico. A bit of work, a bit of lazy, a bit of fun, a bit of dancing, a beautiful sunset, lots of food – all done with laughter and noise amongst my new community of friends and neighbors. And today ….. today I will get groceries….. 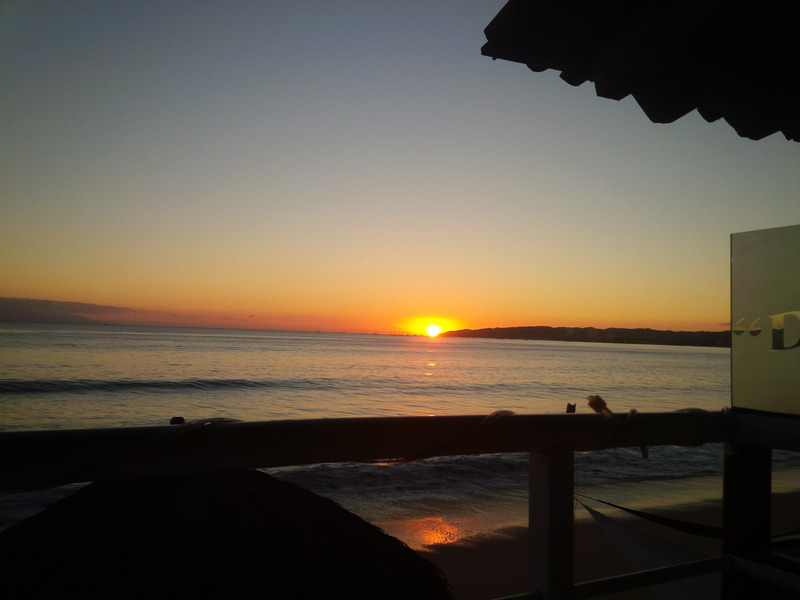 This entry was posted in Mexican culture, Our Life Here and tagged bucerias, dancing in mexico, living in mexico, move to mexico, Moving to Mexico. Bookmark the permalink.